IPT fitness client Simon Miller has beyond excelled over the last 9 months in his physical transformation journey. Simon has consistently attended 2 x weekly 30 minute PT sessions, his regularly updated independent training programme, and also bi-weekly bootcamp sessions thrown in for good measure. This bespoke training programme, teamed with regular testing and nutrition updates from the team at IPT, has built a not only aesthetically admirable physique, but a athletic talent in the gym. The results speak for them self, well done Simon: you are definitely one of our most positive and smiliest clients we have ever had pleasure of working with, and we look forward to seeing you continue to progress! “The before and after photos show good results, but I wanted to highlight the comprehensive package of support, advice and physical training provided by IPT, which enabled me to meet my weight loss goal. Personal training support is provided by very well qualified trainers. And whilst their services are focussed and personalised, they are not exclusive. Each PT session I had with Tom was excellent, he’s dedicated, and will get the best from you, wasting no time. The gym itself is also first class. 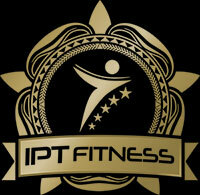 IPT is a personal training gym, so when I would have a PT session, the only people I would see in there, were other personal trainers, each equally dedicated to their clients. There are minimal distractions, so you can really focus on your form and reps.
IPT advice and support comes from many quarters, be that training and nutritional programs or supplementary input. Aimee gave me invaluable nutritional advice throughout, all I needed to do was meet the nutritional targets set by Aimee, which, when paired with Toms exercise program gave me everything I needed to meet my target. In terms of my own personal experience I have found Tom to be professional, dedicated, hard working and very knowledgable. Tom brings a wealth of experience to his role as personal trainer, advisor and mentor. Should on the rare occasion he be unavailable, there was always appropriate and suitably well qualified back up. The program Tom put together was excellent, constantly being updated with new exercise variants, which really helped hold my interest and keep me on track.